When you are looking into purchasing a full-size truck, you want to know what kinds of accessories are available for that truck. 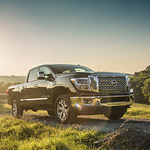 The Nissan Titan XD is a popular truck with a number of great accessories available that you can purchase and add on to it. There are certain aspects of any vehicle that make it stand out from the pack. 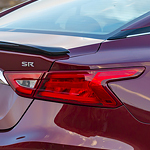 Some of the performance features exhibited by the Nissan Sentra are things that drivers have complimented time and time again. The Nissan Sentra has cylinder bores that are spray coated in order to make them more capable of reducing heat and friction thus allowing the cylinders to last longer on the road. The 2019 Nissan GT-R is a popular and powerful high-performance sports vehicle. This powerful sports car provides drivers with features that include high-performance engine construction and advanced aerodynamic body build. 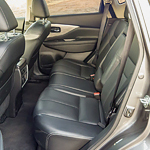 SUVs are a highly capable vehicle type that has grown in popularity throughout the years. Compact vehicles are typically better on fuel and handle really well. 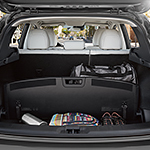 When you put these two things together and focus on performance, the result is the 2019 Nissan Rogue Sport, a vehicle that can handle every road condition in Eugene. 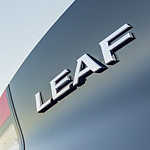 There’s an all-new subcompact SUV at Lithia Nissan of Eugene, and Nissan has delivered. The Nissan Kicks combines style, comfort, and technology that just about any driver can admire and enjoy. The advanced Nissan Intelligent Mobility system allows you to see around more of the vehicle and alerts you about common hazards. The Blind Spot Warning feature senses this area and provides a warning when another vehicle is lurking. The Rear Cross Traffic Alert provides another set of “eyes” as you back out of a parking space and tells you about incoming traffic from both sides. For Eugene residents in the market for a new sports car, criteria such as performance, power, and handling are often incredibly important. Of course, the new Nissan 370Z Roadster offers all of these in spades. This vehicle is, quite simply, packed with performance features.